Resolve issues in record time. PlanGrid allows me to answer most questions on the spot. This boosts productivity and allows me to spend more time out in the field. It streamlines creating punch lists, saving time and resources. 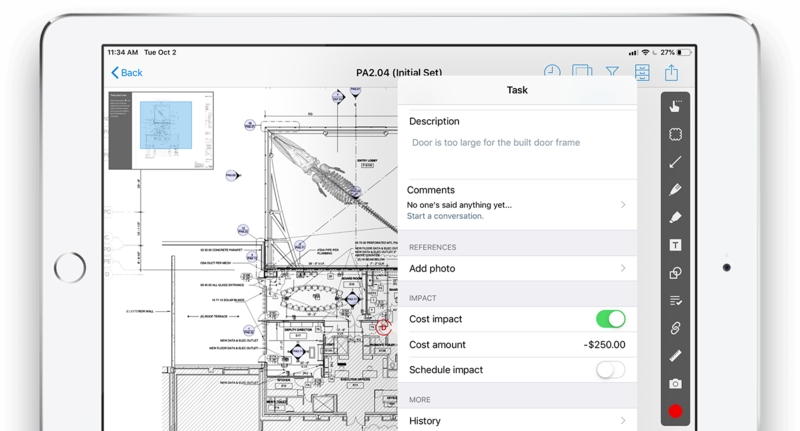 Track defects, inspection notes, design coordination and much more, all in PlanGrid. Identify a punch list item when you see a stamp on the sheet, or use Filters to find it by status. Assign punch list items to relevant individuals or groups while keeping stakeholders updated. 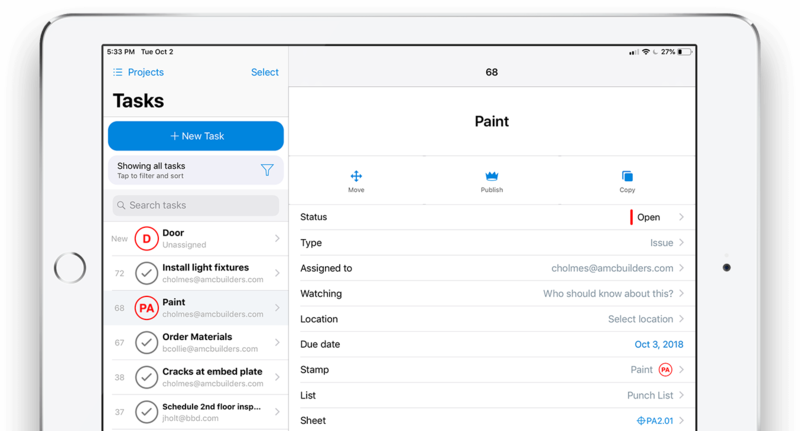 Right from the field, manage punch lists items from your mobile phone. Identify issues, assign tasks and track the progress of each item all the way from inspection to completion. 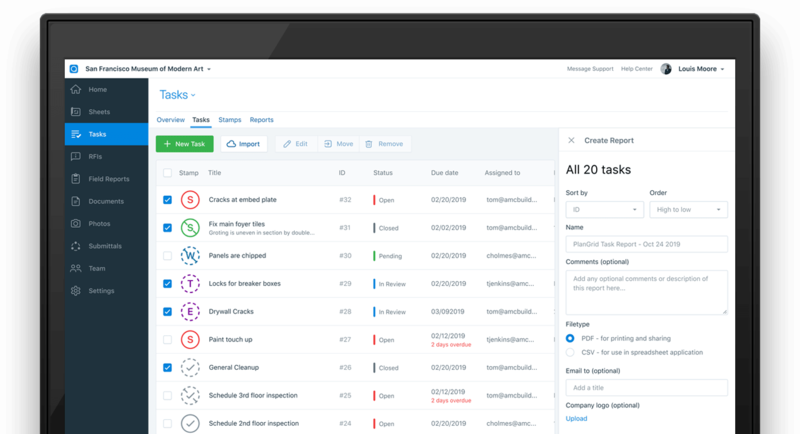 When the work does not comply with contract specifications, PlanGrid makes it simple to note whether the issue will have any schedule or cost impacts, down to the dollar amount and number of days. Stakeholders are kept informed so there are no surprises. Instantly share reports with the owner, general contractor, subcontractor or design team. Reports will include select issues, including dates, times, locations and related photos. It’s your digital audit trail of who did what and when. Avoid double data entry by connecting PlanGrid issues to your existing documents in CMiC.